Only son of Jock (John) Laird Craig, and Alethea M Le Flay, of Gloucester, Gloucestershire. He was educated at Pulford Boys Elementary & Cedars Secondary Schools, Leighton Buzzard. Alan’s Early Forebear’s – one a Glasgow Merchant signed his name, elided (merged), JohnLairdCraig. Alan said on the subject ‘oh, we’re just some ‘Stewart Bastards’ Offspring, but you don’t want to know about that’. His father, Jock had wandered off and left Alan entirely in the responsibility of his mother Alethea Laird Craig, and Jock was never ever spoken about. Jock played for Leighton Buzzard FC, and was very good looking, he worked for the Inland Revenue and died young (much as Alan did). Alan’s cousin Olga, used to run a Pharmacy just off Berkeley Square but ahead of her time as a quietly devoted Lesbian with a long-term partner. When she was asked if Jock was in effect a bit of a chancer she replied ‘yes dear, you could probably put it like that!’ There is a photograph of Jock with Alan then aged about 12 yrs standing in an Orchard with his shotgun with the boy Alan emulating his stance. Alan Aged 15 (3rd from right on 2nd Row down from Top) and already very tall and surrounded by the mixed pupils of Cedar’s Secondary School. The former Houses were named after the Patron saints of England, Scotland, Ireland & Wales; George, Andrew, Patrick & David. After the WW2, Cedars became a Grammar School. Alan preferred not to use his ‘Laird‘ surname prefix during the War as it got in the way and seemed a bit odd anyway suggesting a Scottish Laird. Double-barrelling surnames was a Scottish invention generally adding the name of the female’s ancestral family (matronymic) – it also indicated illegitimacy, where the father to the young unmarried mother would insist his name was carried on, or the family wanted the rest of the world to know quite clearly who the father was. Craig enlisted at Cardington in the RAFVR 0n 29th September 1940 as a Leading Aircraftsman aged 17. Alan married in 1946, St Marylebone District, London, his bride was Flight Officer Mary Stanley Smith, WAAF, elder daughter of Mr & Mrs Ernest Smith, of High Wycombe, Buckinghamshire; 2 sons Gavin Ernest and Adrian Joseph, & 1 daughter Diana. We are sad to report death of Flight Officer Mary Foister (nee Stanley-Smith) on the 5th of December, 2017 aged 96 years. Mary was the Widow of Wing Commander Alan (Pathfinder) Laird-Craig, 35 Squadron, DSO DFC AFC MBE who died in 1972 in Hoby, Leicestershire. Mary served in the RAF in Bomber Command, with the rank of Flight Officer, where she was the Personal Assistant to Air Vice Marshal Richard Harrison, Air Marshal (later Air Chief Marshal) Sir Norman Bottomley and, for a short time to Air Marshal Sir Arthur Harris. In 1946 she was the only woman who flew, (surreptitiously on the Flight Engineer’s ‘jump’ seat), in the Victory Flight of 35 Squadron white painted Lancasters, led by her then suitor Alan Laird-Craig. She was in the number 2 aircraft flown by Squadron Leader (later Air Marshal) Sir Michael Beetham. She had celebrated her 96th birthday on the 25th of November. With an RAF record of 71 Bombing Operations of which 54 were as a Master Bomber, Squadron Leader A J L CRAIG DSO, MBE, DFC, AFC (103561) (Resigned at his own request after some 16 years in the RAF), retaining the Rank of Wing Commander, 11th April 1956 aged 33; the same year his beloved Lancaster was retired by the RAF. RAF ‘Cartoon’ Type – Retirement of Pilot Officer Percy Prune – So, shortly after the outbreak of Peace, he retired to ‘Prune Parva‘, where the family have, as he puts it, “held manurial rights from time immoral“, there to “Write-up” the Family which must have been responsible for every major disaster in History – no doubt starting with the burning of Rome. He sometimes surfaces to attend Reunions – but invariably gets his dates wrong and attends reunions with Squadrons, Commands, and even Services he had nothing to do with during the War. He describes his recreations as motoring & walking. The 1st he does to the peril of every other road user and the latter he does at constant peril to himself. He is well-known at the County Court and in various ‘Out-Patient’ Departments of County Hospitals. Recently he was awarded a complimentary season ticket for the local Ambulance Service. Percy is assisted in his search of the Family Archives by his son Peter “Ropey” Prune who served for a short, (very short), time in the Peace-time RAF. Unfortunately, at an Air Display, he destroyed 2 Tea Marquees, several cars in a Park, and a Beer Tent, when he successfully selected “rockets” instead of “drop tanks” – and all this at the wrong moment. Sales Director for Gossard, (Lingerie Manufacturer’s) Billington Road, Leighton Buzzard. During WW2, Gossard’s production was turned over to assist with Britain’s War Effort. 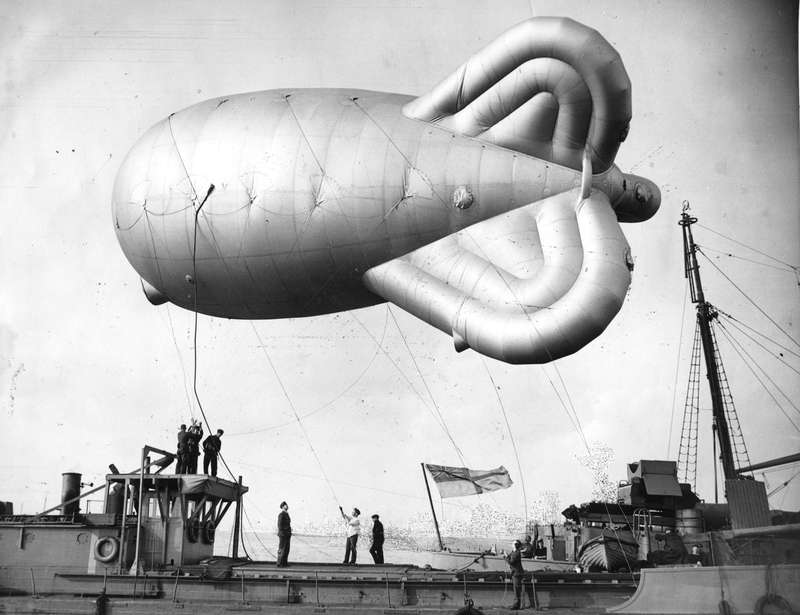 Gossard produced everything from brassieres for the Women’s Services, to Sails, Parachutes, Barrage Balloons for Convoy Ships and even Single-seater Fighter Dinghies. Gossard took another pioneering step by introducing Silkskin – a lightweight, pre-shrunk girdle featuring an innovative wonder fibre, Nylon. The Perma-lift range of bras and girdles launches in the 1950‘s, featuring the ‘Magic Insert‘, a cleverly shaped support within each Bra Cup to give permanent uplift. Enough to stop all Air-crew and Pilots in their Stride. Manufacturer of Machinery and Equipment for Textile; Apparel & Leather Industries. R Rowley & Son, Rowley & Son, Queen Street, Leicester, with its 10 Factories and 1,400 people, was one of the cornerstones of local working life in Leicester. During the 2 World Wars the Company supplied Military Contracts and also survived the World-wide depression of the 1930s to become the 3rd-largest Employer in the Hosiery & Knitwear industry in Leicester. Although relatively large by the standards of the Industry, this multi-product firm was never a market or fashion leader in any single Product, neither did it own a leading brand name, although the sock production, bearing the ‘Peter Pan‘ Trademark, was considerable. Throughout its Independent existence it supplied its merchandise mainly to the Wholesale Trade. However, in the 1960s, the decline of 1,000s of small Independent Retail Stores was recognised, and, in response, strong links with the expanding High Street Stores were established. 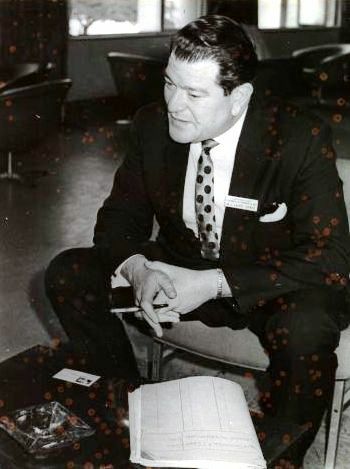 The family connection was finally severed in 1962 with the retirement of Mr Leslie C Robertson, grandson of the Founder. Sir Geoffrey Barnett was then appointed Chairman. Alan was Sales Director. The firm did not regain its former success, and after a series of poor trading results, the Business was acquired by Courtaulds in 1968. Courtaulds closed the Queen Street – St George Street manufacturing site in 1999 and under new Ownership, the Property has now been restored, minus its tall chimney, and converted into a residential apartment building. Textile Manufacturing Apparel, Machinery for Textile & Textile Equipment. Circular Knitting machines. Chief Design Engineer was Norman Yeadon a keen cyclist. One of the World’s leading circular knitting machine Manufacturers. The Company was renowned for its single jersey knitting machines; double jersey machines; 2 and 3 thread fleece knitting machines; terry knitting machines. The Company was known Worldwide for its innovative wrapper & stripper circular knitting machines. Camber was acquired by Singapore based Falmac in 2000. Jersey knitting machine Manufactured by Camber International (England) Ltd, Leicester. After a Civilian Career in Commerce of only 15 years. Alan John Laird Craig died aged 48 at Leicester Clinic on 9th June 1971 from a heart attack while in Hospital treatment for Bi-lateral Pneumonia. Clearly, his heavy Smoking habit much encouraged during his 16 years with the RAF and perhaps the 5yrs of Sustained Wartime Stress of the 1939-45 War contributed greatly to his very premature death. If the Flak and Stress of Flying don’t get you then the Ciggy’s will.